I moved a few weeks ago to a beautiful cottage in gorgeous countryside. Many boxes of belongings had remained in storage for over twelve months while renovations took place. We sensibly rented a second smaller cottage for the construction period. When we moved back into our new home unpacking became a full time occupation for the first week but finding treasure of older paintings made up for all the hard work. Choosing colour combinations for each room was exciting and finally time to hang paintings came. I look back at the homes I have lived in all over the world and realize something has changed this time and I wonder how many other artists recognize this scenario. When I first started painting years ago I always admired established artists and I have always held a passion for watercolour. Over the years each time I was in an exhibition and sold I would often choose one very special painting of a top artist to purchase and "invest" in as a great piece of original art for my home. Time passed and a stunning collection began to build into one I am very attached to today. I have special memories attached to each piece of galleries I have shown in and leading artists I have met..
Each of these paintings took pride of place on walls where visitors could easily admire them. So much so that friends often asked me where MY art was! Mine always took a back seat to more famous names. For safety reasons when we moved I put everything that was precious to me into storage for safe keeping and in our rented cottage only my work was on view. As new exhibitions came up the new work temporarily hung on my walls and when it sold I was often disappointed. And so I would paint a " new" piece especially for our home. But that would sell too and as the last year has passed each time I paint my new work it sells and disappears. Has this made me paint any faster? No .In fact it has had the opposite effect. I now love each piece so much I enjoy it in such a different way. I enjoy the luxury of "owning" it until it reaches a gallery. But I do have favourite old paintings and when I unpacked this time I found myself choosing my paintings above other artists for the very first time in my life. I was hanging my own work in the living room and now leading artists work was adorning bedroom walls as well as being hung in main rooms. All of a sudden it hit me I have "made it" into my own art world. I have passed judgement by my own heaviest critic. Me! I have finally discovered I love what I paint so much I want to see it on my own walls and not hidden away. It has taken me years to reach this point. I also understand why collectors buy certain pieces. Pieces I too want to own. I want one of my own racing scenes and I want to own one of my own owl paintings. I would seriously love one of my own cat paintings. But these are desperately needed by a gallery. I will paint each for my home so that I can temporarily enjoy them while they are here. I cannot paint simply to sell. I have never had that ability. 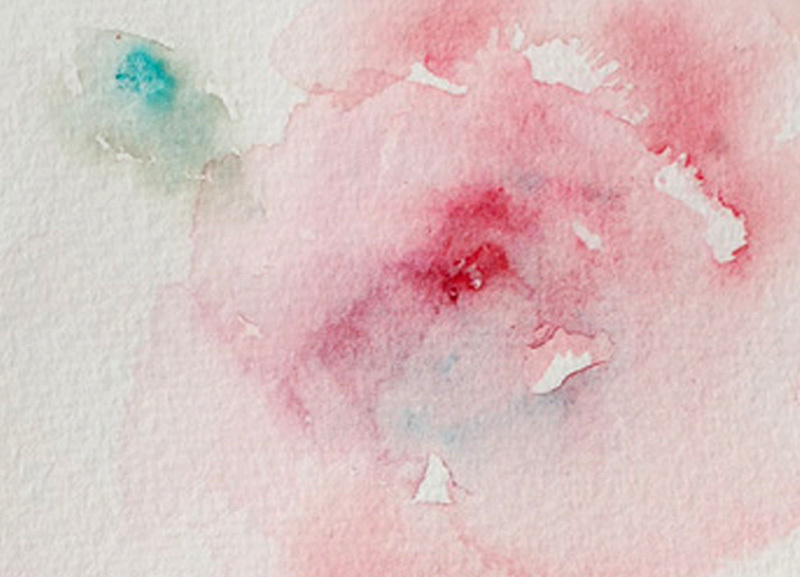 Neither do I want to possess it as my watercolours are a part of me. They carry emotion in every single painting. 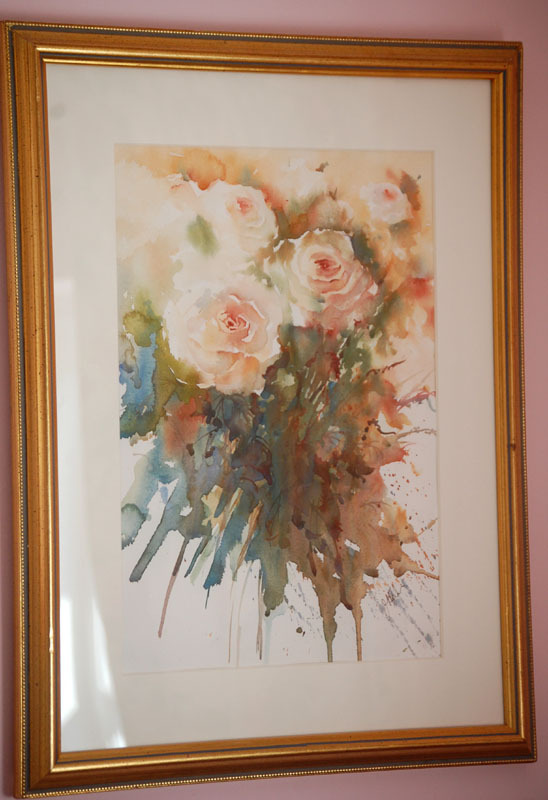 Like the rose painting above each is part of my journey in watercolour and tells the story of where I have been. Hopefully they show where I am coming from and going to. When friends walk into my home it is wonderful to hear them say they love a piece. I have denied myself that pleasure for so long. Now for the first time I am enjoying my own art and looking forward to one day painting new pieces for specific rooms. This has to be my best art year ever and I feel a thrill each time I pick up a brush. It's that feeling I want to give to everyone who comes on my workshops. More of which start tomorrow. I wish everyone could share this incredible feeling of happiness in their lives.Peaceful calm from simply holding a brush and passion for the results that come from a variety of brushstrokes. Many of my friends know this is a very special year for me in so many ways on so many levels. 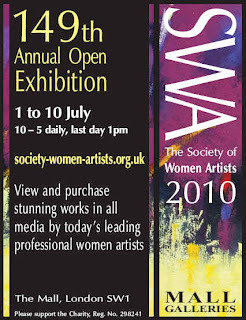 I am delighted to share the news I have been elected a full member of the SWA, Society of Woment Artists. 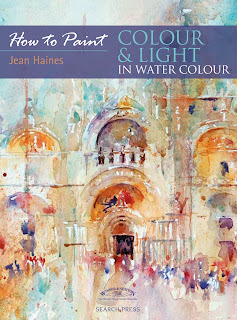 More excitement now as my first book "How to Paint Colour and Light in Watercolour" will be launched officially.at the Mall Galleries during the exhibition. 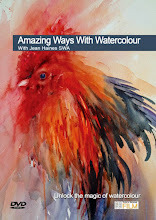 I will be signing copies on 7th July when I will also be demonstrating my techniques on this date. 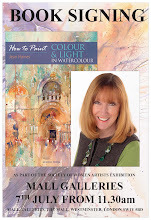 Everyone is welcome so if you would like a signed copy of my book or would like to meet me please make sure you are at the Mall Galleries this summer! You can find out more details via this link. Please contact Karin if you are interested in booking a place on this beautiful location for a watercolour holiday of a lifetime. Yesterday afternoon I sat quietly in my garden and began to study the beautiful mass of Iris that are coming into bloom. Banks of these gorgeous flowers create clouds of purple in huge drifts along one main flower bed. These are the smaller variety that sit on top of long thin stems with their heads gently swaying in the breeze as if they are dancing. They remind me of Monets garden in Giverny. Painting any subject on location in natural light is always a sheer joy but when sunshine hits your shoulders as you work and plays tricks on almost transparent petals life for an artist cannot be any better! Quite often I absorb the feel of a subject when I make my first tentative brushstrokes. 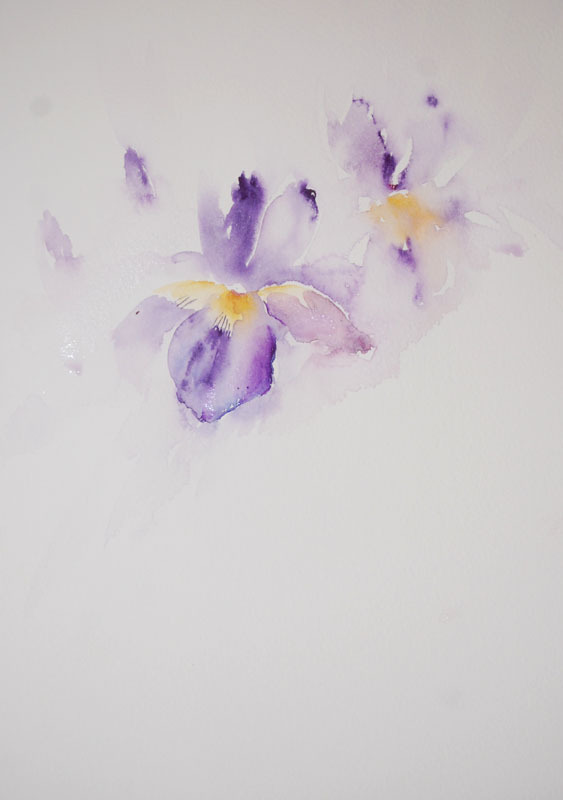 These are the first Iris I have painted this year and as always I am thrilled to be capturing them in watercolour again. This morning I placed a mount around one study to give me an idea of where I am aiming with a finished collection of Summer flowers which are eagerly awaited in a gallery. The collection will consist of all of my favourite flowers. Iris appearing from gentle brushstrokes. Careful placement of each flower in the composition allows me space to add hints of their soft stems. Today the sun is shining and the light is perfect for painting outside again and as a friend is arriving this morning we will be painting flowers together all day. I have been approached by two new galleries and at the moment find myself in the process of painting new collections so that each gallery is representing my style with a variety of subjects. It is amazing how my versatility seems to appeal because I am never tied to one alone. 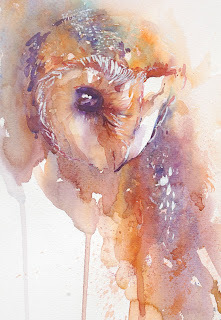 My owls have become collectible and I have been trying to paint myself one for a while now. Just before my recent move I delivered a painting of three baby owls to a local gallery to be framed for our new home. As the painting had developed I had fallen in love with the piece and knew it was one to keep. It had that special something about it which artists recognise from time to time. Having selected the frame and left the gallery I was taken aback to find my phone ringing the minute I walked into my new home. Within minutes a collector of my work had seen the baby owls and wanted to buy the piece even though it was not for sale. The painting hadn't even made it to a gallery wall or my home. I found myself in a quandary because I felt really torn about letting this painting go. I decided to take time out to think about it and finally came to the decision if it was genuinely loved that much it deserved to be sold. I know the collector already has several of my favourite paintings so this felt right. The gallery were delighted. And so this week I found myself starting a new collection of owl paintings and one again I have fallen in love with. But a new gallery is opening and they would like some special pieces to celebrate. This one is indeed special. I have been reflecting how my life is changing as an artist and how much I have experienced over the last twelve months especially. All the time every day I enter my studio with a feeling of fresh excitement regarding what I will be painting. I still have no commercial desire to race a piece or meet "demand". In fact I take even more time thinking about letting go of each painting at the moment because I want them to leave my studio with the knowledge each brush stroke did indeed make a difference.
" Soft Reflection" will leave my studio for a new home and on reflection from this piece alone I have learned so much. 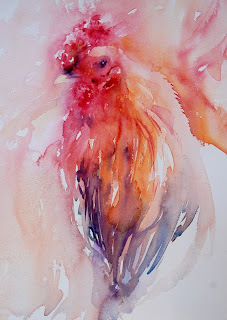 Each painting in my life has an emotional value and is part of my watercolour journey. Learning when to let go is important in so many ways not just via the brush. Moving forward at the right pace and time is vital too. I know I am " letting go" and "moving forward" at the right time and pace. And I look forward to my owl paintings of tomorrow but have loved each one as they have appeared. Maybe sharing on a blog is a good thing in that it gives us all time to reflect on why we paint,what we paint and the outcome of our actions! It is hard to know where to start describing last nights Private Preview of the David Shepherd Wildlife Artist of the Year 2010 Exhibition. Taking place at the prestigious Mall Galleries in London the variety of subjects and mediums were incredible along with the exceptionally high standard of work throughout the whole collection. I cannot say which was the most favourite part of the event for me as the whole evening was fantastic. From the minute you walked through the door the atmosphere was one of unison. Artists and non artists collectively were not only admiring art but the reason behind the exhibition which is Davids soul shining. In his prize giving speech his vision came across so clearly and his words have remained with me today. 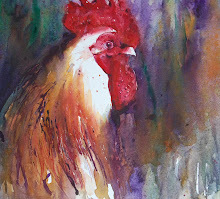 Many artists make their living out of painting beautiful creatures many of which desperately need our help to survive. The WAY exhibition gives all artists the opportunity to give back to the very beings who inspire their passion for painting and profession. Proceeds from the exhibition will go to helping the projects set up by DSWF. Important projects that will help protect species and give genuine care where it is needed. I listened and like Robert Lindsay who awarded the prizes the ceremony was drawn very much into an emotional picture imagining pain and suffering that some animals should never have to endure. For example the mention of an elephant losing their foot after stepping on a land mine made me see my own painting " African Gold" in the show through very different eyes. Whilst I always paint with emotion there is a huge impact knowing holding your brush could make a difference no matter how small it is. But back to the exhibition. David Shepherd has an incredible personality. His passion for what he believes in hits you the minute you meet him. He has charisma and warmth that draws everyone to him and it is easy to see why so many artists are eager to help the DSWF mission. 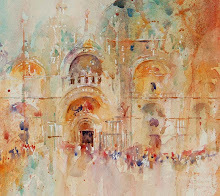 To see his original work including a retrospective collection which covers paintings of many subjects was wonderful. For me the added thrill was seeing his beloved Bearded Collie in one piece and some Beardie pups included in originals as we both share a common passion for the breed. To share laughter over how much our dogs mean to us just seemed to make the evening even more special somehow. Emily Lambs work is extraordinary. Amazingly unique with perfect colour combinations,excitement and life in each piece. Being the granddaughter of David, Emily certainly is treading a path to keeping the excellence of the Shepherd name linked to art very strongly. A beautiful girl who shines with talent. 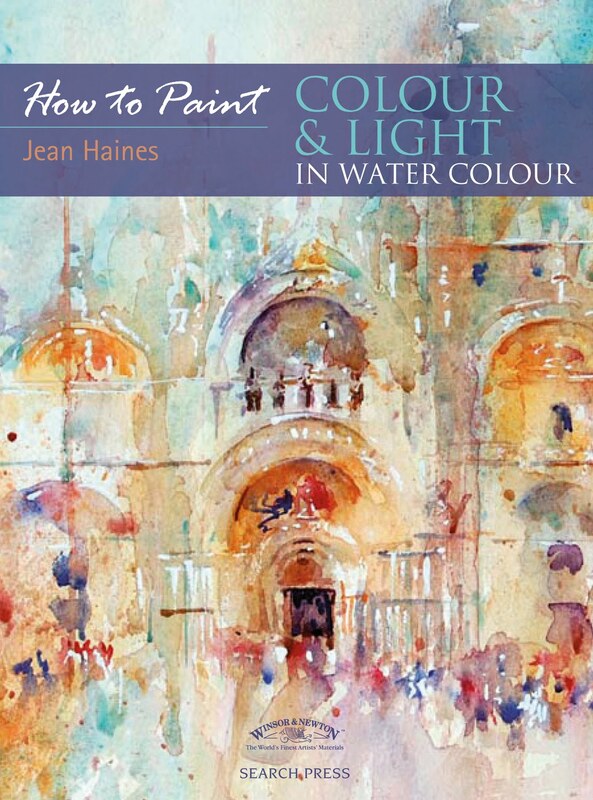 It was wonderful to meet Hazel Soan in person having admired her work for so long. In a hectic evening with so much going on Hazel shared laughter and her experience in a naturally delightful way. While we chatted it was so heartwarming to also recieve advise on making my first DVD. To see an artist of Hazels level in her career be so genuine,caring and enthusiastic was inspirational. I certainly hope I don't forget her words and I will try to talk directly to the camera as if a whole workshop is there in front of me when it comes to filming. I met friends and fellow wildlife artists Paul Apps and Clive Meredith during the evening and also made some wonderful new friends. A united sense of sharing was so evident and there really seemed to be a strong sense of family in the room.Everyone wanting the evening to be a huge success. These feelings was never more evident than when the prizes were awarded. No one knew until this point who had won the Wildlife Artist of the Year title. The look of shock and complete surprise will stay with me forever when Adam Binder won the title of Wildlife Artist of the Year for his sculpture " Sinking Feeling". We all shared his sheer joy and excitement. Having spoken to him just before he was announced the winner seeing his reaction was amazing. The exhibition will continue until May 29th and I thoroughly recommend everyone try and visit for so many reasons. It is impossible not to admire the work and talent of David Shepherd on so many levels.I know I will remember this occasion for many years to come and I am sure this morning Adam will wake thinking it was all a dream. Congratulations to a very deserving winner and to the DSWF team for a hugely successful exhibition that was full of variety,excellent work and emotional value which will make a difference in the wildlife world. 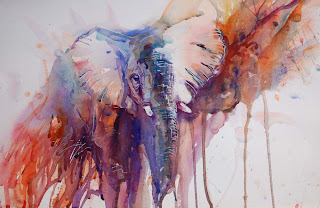 David Shepherd Wildlife Artist of the Year 2010 Finalist. Tonight is the Private Preview for the David Shepherd Wildlife Artist of the Year 2010 Exhibition which takes place at the Mall Galleries. The Exhibition will be open to the public until 29th May and promises to be a really exciting and inspirational event. For me the main reason for visiting the show is not only to admire the work of outstanding artists but also to be aware that 50% of all sales will go directly to the DSWFs wildlife projects. Yesterday morning I walked with my dogs through a beautiful meadow that is full of wild flowers. From a distance all you see are dots of golden yellow buttercups and white of wild daisies.These are the larger ox eye daisies that stand tall and move in the breeze. Unlike the smaller daisies that sit flat to the ground these flowers seem to have personalities of their own. The combination of colours in the field which stands on a hill when against a clear blue sky is so dramatic. This scene really tempted me to pick up my brushes and experiment. I sat quietly listening to birdsong and allowed colour to work its magic on paper. There is nothing compared to painting on location in natural light for capturing clean fresh exciting colour. I decided to paint the position of the flowers as they grew but made a choice to bring everything I felt about the colour in the location into the background. A trick that has always worked well for me. Once I had my three main subjects in their places it was simple to work on the interesting texture and effects else where in each section of this large painting. 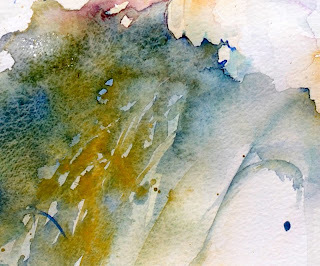 I have been delighted to look into new ways to add texture in simple techniques that are easy to call upon in a variety of ways. 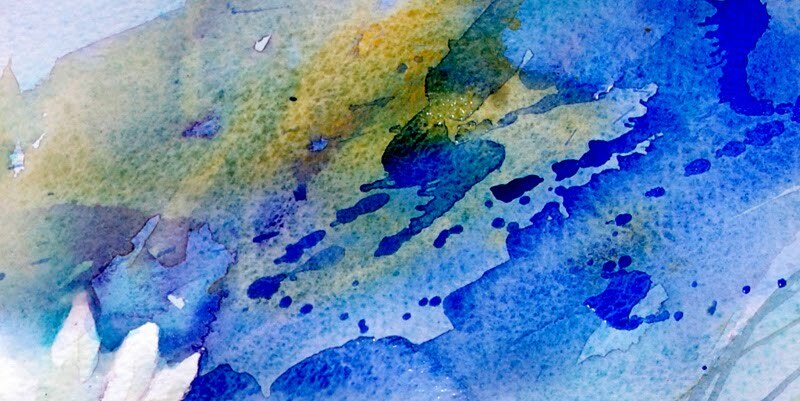 My new " Seaweed Effect" adds almost 3D effects which are really enjoyable to bring into any painting. Reverse " Seaweed Effect" leading away from the subject. 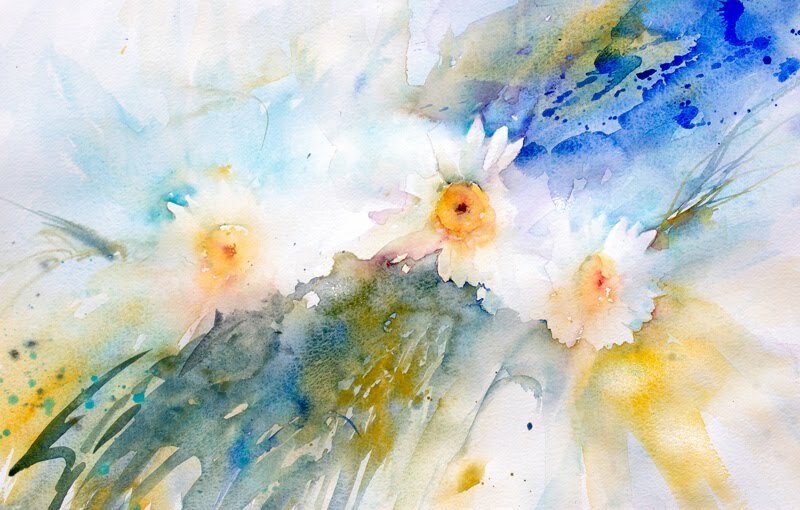 The outer edge of the daisy in this section is really beautiful and sits against gentle granulation from French Ultramarine Blue. The watermarks really create soft patterns bringing drama and impact to the piece in such a subtle way. A warm edge against glowing yellows. With the focus on gorgeous petalks I need a background to make them sing beautifully too! I have been painting flowers since I was around five years old and daisies have always without fail appeared every year. I feel many more paintings of these simple white flowers about to appear and I can't wait to pick up my brushes today! Labels: Daisies in Watercolour, New Seaweed Effect Technique. Yesterday afternoon I sat in the garden and simply played with colour. 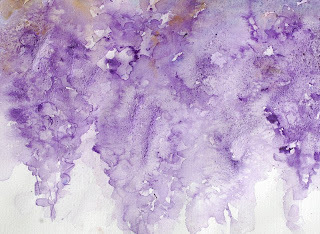 I was inspired by the wisteria which is growing on the walls of our cottage. From a distance all you really can make out is pendular forms in brilliant shades of purple. I had spent most of the day gardening and planning a new section of one main flower bed. To sit and rest with my brushes in my hands was heaven. I listened to birdsong and took in the scents from all the flowers in bloom around me. I had placed a large piece of paper on some board for ease while working and allowed the colours to merge. Some Asian brushtrokes were really helpful for certain outlines and as the sunshine was so strong some sections dried faster than others.This gave me a great opprtunity to work with salt at a much faster speed than normal minus the drying time. I could see and control the texture effects by careful placing and amounts used. 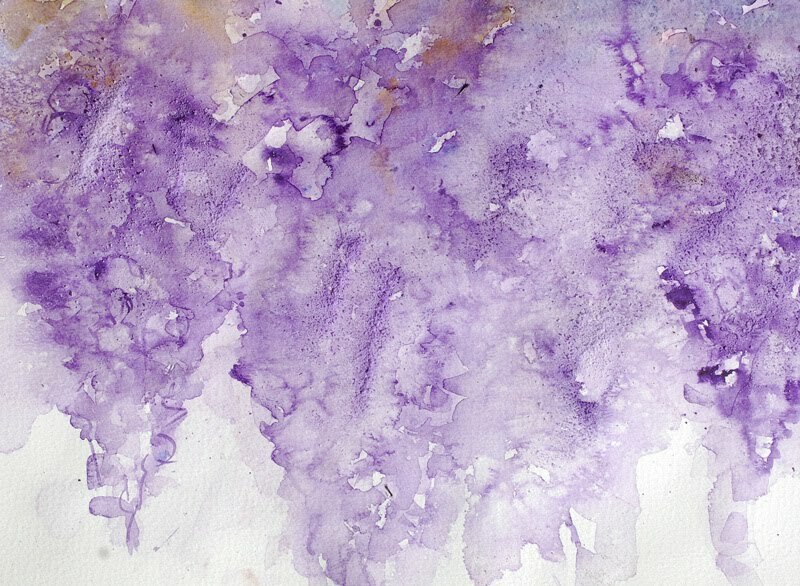 A small individual wisteria flower shape appears out of a block of colour in the background wash simply by painting negative shapes. Before the salt is removed this image shows how it was placed to create patterns and texture illusions. I can easily see the flower shape in sections here also. The texture in this piece is so beautiful when seen off screen. I am relying on my time spent with a Shanghainese artist who gave me such insight into how movement with a brush, flow of water and placement of colour can say so much with so very little. This experiemantal session was never aimed at achieving a painting to frame. 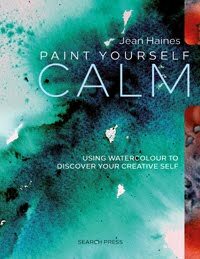 It was aimed at having fun with colour and unwinding after a wonderful days gardening and designing. The result is really pleasing but by chance rather than by deliberate thought! I am drawn to the lilac flowers now! It is seriously going to be a fabulous Summer! Pinks Appearing From a Gentle First Wash. I have always been fascinated with flowers ever since living with my Grandparents as a child. My Grandfather was a keen gardener and his display of brilliant colour was often admired by many. He planned each section as the most talented of artists. Colour, shape and perfume play heavily on my mind when I design a garden. 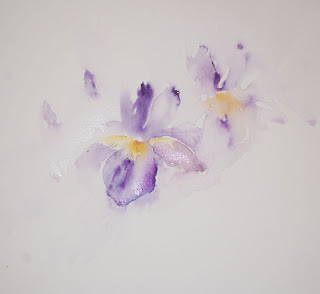 When I paint flowers I try to capture not only the illusion of their essence but I also want the viewer to imagine they can sense their scent when looking at each painting. When we moved to this cottage I knew I would adore planning the flower beds. 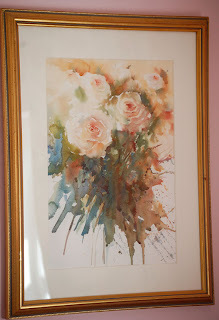 The first flowers on my list to plant were roses which everyone knows I adore painting. Then pinks because of their sweet fragrance,lilac and wisteria because of their intriguing form. These are already now planted as well as delphiniums and hollyhocks. 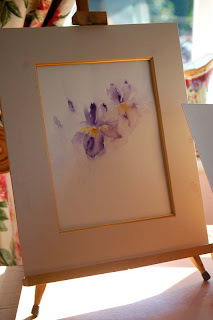 I know I have a wonderful Summer ahead painting every flower I see. However this morning in the peaceful early silence I sat and painted a small study from a bouquet that was given to me the day we moved in. Delicate hues of pink formed a circle of soft colour in places almost disappearing in brilliant sunshine. 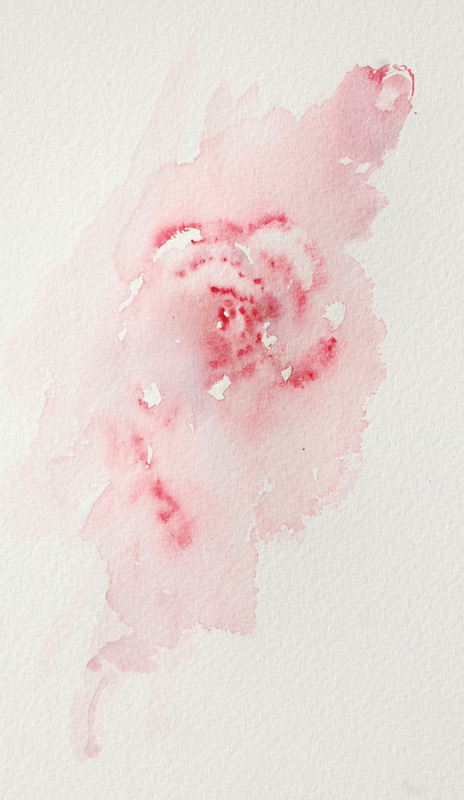 I gently dropped water onto my paper and then allowed heavily diluted pink to radiate alone to form petals. Adding a few details by stronger colour at the edges or centre along with a bud hit by light really was a relaxing way to spend a few minutes before my day begins. Watermarks Forming Delicate Petals. Simple and Beautiful. These morning paintings always fill my heart with joy. I know they will lead me to a new collection of Summer Scents. Each new day brings that extra feeling of excitement as I wander around the garden looking for new subjects to experiment with. Time is flying by with so many wonderful experiences happening that it is difficult to keep my feet firmly on the ground lately. Sitting on a computer to share events and keep up with news about so much that is happening is almost impossible. This last week has been more special than any other in my life for so many reasons. Starting from Monday to this weekend an incredible chain of events has occurred that has left me feeling as if my life is definitely a fantastic dream. I will share each event as time allows but the main news many friends have been waiting for is that yes, I have agreed to a DVD to accompany my book. I was approached by several contacts to create one but this week saw me driving over three hundred miles for a screen test and basically to see if this is where I was wishing to move forward. It was a big decision for me as everyone who knows me well will be aware that for some reason I hate having my photograph taken. So for me to agree to sit in front of a camera to produce a DVD seemed laughable. I am aware that I am actually going to have to be in it not just my hands! With a recent move,exhibitions and art events on the horizon including watercolour workshops and demonstrations I was concerned I could manage to fit one more thing in. But the day of the screen test arrived and I made my way to the studio where the DVD would be filmed. The room was full of cameras at every angle to get as many great shots as possible of artists in action. I took my place and started to paint. I surprisingly found myself relaxing and simply doing what I love doing best of all which is painting. But there is so much to learn about being behind the camera for a DVD. It really isn't just about painting a scene and allowing everyone to follow you as in a workshop. You need to connect with people you can't see. People who hopefully will buy the end product and enjoy what you are choosing to share.When you demonstrate to an art group you have reactions from everyone watching. Questions are eagerly raised and you recieve feedback on what is flowing from your brushes.The " wow" comments always encourage you to share even more. Laughter is vital to a great session as then you know everyone around you is totally relaxed. Talking solely to a camera the task at hand seemes very daunting. So THATS what I look like! After the short shoot we watched how I had done.This was really an unusual experience as it is the first time I have watched myself in action and I was mesmerised how an image comes to life so freely on paper. This sounds crazy but I think I am going to look forward to seeing the finished DVD when it is available as much as anyone else! I actually made myself feel as though I wanted to race home and paint! I hadn't even considered creating a DVD. I was so happy with the fact my dream had come true about writing a book but I am now recieving so many requests I feel I am letting everyone down if I don't make one. So for everyone who has asked me .this DVD is really for you, not me. I hope you smile when you see it knowing how nervous I was at the thought of making it and I hope my personality comes across as well on film as it does in a workshop! Wish me luck as the filming takes place in June and the DVD will be out at the same time as my book. 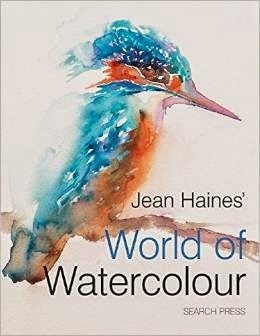 Due to unforeseen circumstances two places have become available for the Watercolours With Life workshop on June 1st. 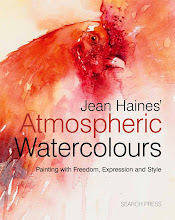 Please contact jeanhaines@hotmail.com if you would like to book. An exercise in studying a subject and loving how water plus colour can create it!. With a recent move taking place over the last few weeks along with the preparation and organization involved little time has been free to paint as regularly as usual. 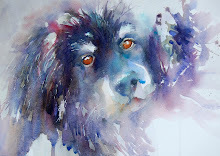 My daily routine normally involves painting a wide number of subjects and often one main favourite for the day. I often imagine I know exactly what I am going to paint long before I even pick up my brush. 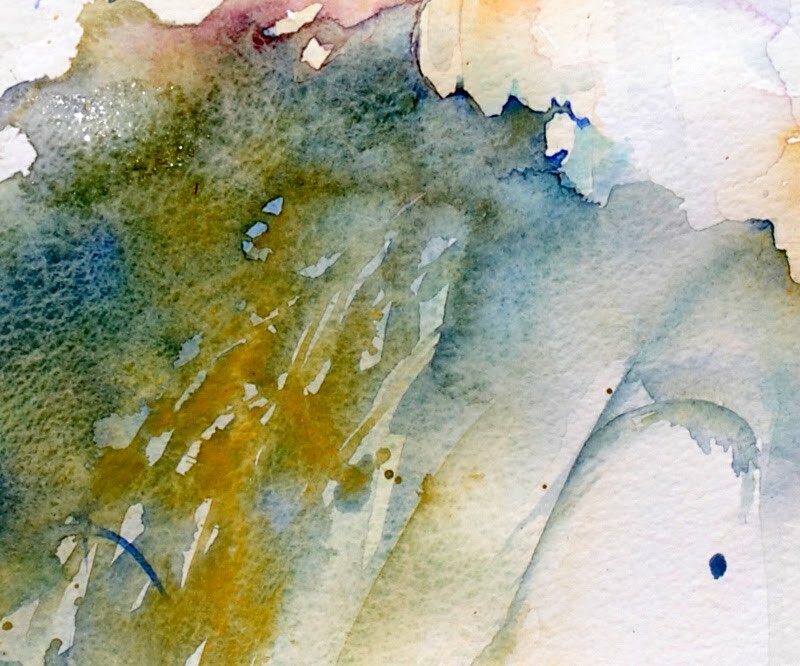 But the versatility of watercolour with freedom of flow between pigment and my imagination really suits my personality in that I will happily change direction in a heartbeat. Yesterday I eagerly started my painting session after a walk around my garden. 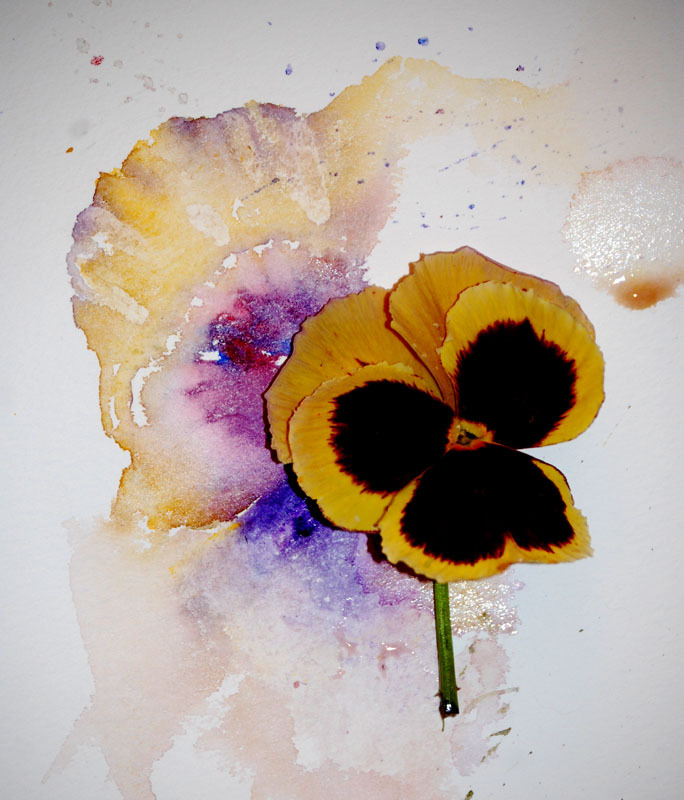 I knew exactly what I was going to paint but a small pansy was showing its face in the morning light. Its tiny form was almost insignificant amongst the larger shrubs of regal rhodedendrons. 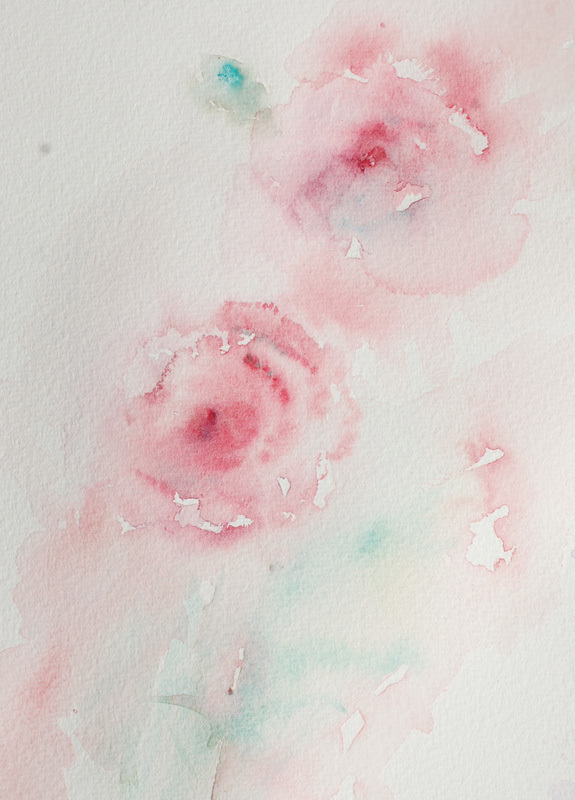 It hit me that I have never really given much thought to these little flowers as subjects to paint. I carried one to my art studio and it became of great interest to me. I really loved the edges of the outer petals as the uneven patterns found here created such a pretty challenge. 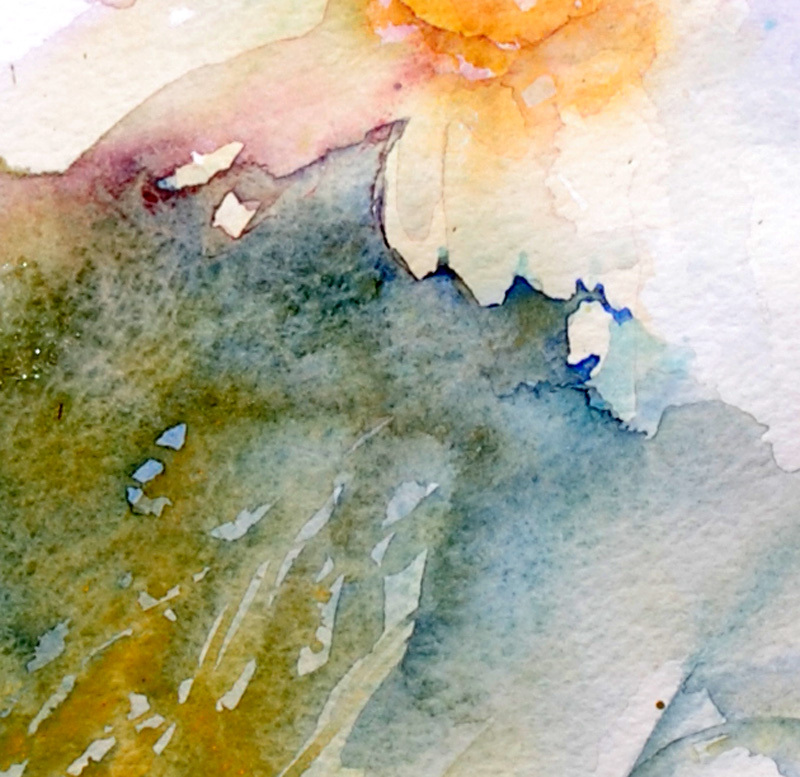 Working from the outer edge inwards with individual brushstrokes I began to build up the flower using heavily diluted Cadmiun Yellow. I dropped in small amounts of French Ultramarine Blue and Alizarin Crimson to create a beautiful violet shade.These three pigmens merged naturally and I could just sit back and watch what happened whilst the paper turned from wet to dry. I loved what was happening. Why dilute the shade so much when the flower itself is such a strong solid yellow? I find if I paint heavy bold blocks of colour the delicacy of a flower can be completely lost . So I exaggerate a translucent effect by deliberately keeping my shades heavily diluted at times. This will give the petals a feeling of being transparent and light to touch which they are. The centres are fascinating and I am choosing to allow watermarks to create these minus my help. This is a wonderful way to spend time relaxing with such beautiful results. Maybe,just maybe I will be giving pansies a little more attention from now on! I am thrilled and honoured to be included in the David Shepherd Wildlife Artist of the Year Exhibition 2010. The paintings of the finalists are on view via this link and many of my favourite artists are amongst them. My painting is also on view in the collection. Having looked at all of the amazing paintings I feel very small and indeed humble to be included.Whilst I adore painting in watercolour I am always 100% aware that there are many talented artists in the world and I am just one person who happens to love holding a brush to create. It would be impossible for me to choose a favourite so I am eagerly looking forward to the exhibition which takes place at the Mall Galleries in London from 24th-29th May 2010. To be involved if you can't visit personally you can register a vote for your favourite online. and exciting contemporary work for sale by his granddaughter EMILY LAMB. I have just received this photograph taken at a recent charity event for the Lady Taverners. 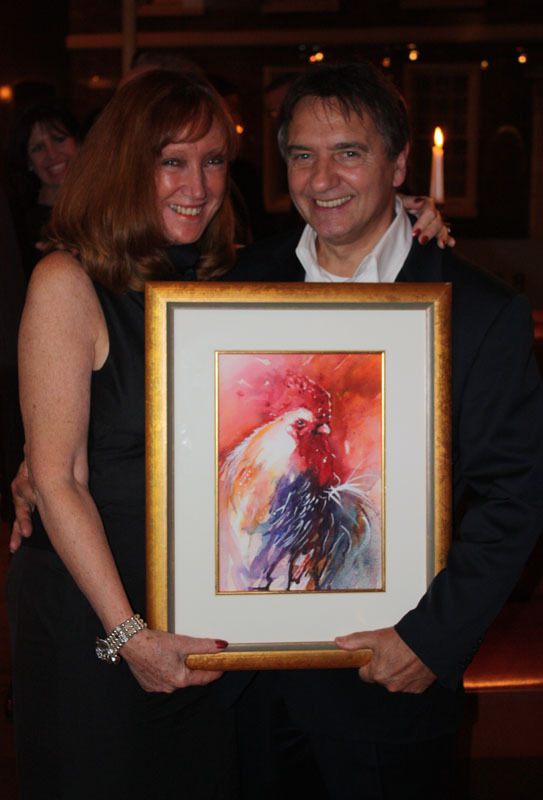 I had donated a painting for auction and the winning bidder was the wonderful celebrity and famous chef Raymond Blanc. It was a superb night which raised funds for some very special children. I have been Lady Taverner for some time now and it really does make my heart sing to know holding my brush gives more than just pleasure from a framed painting but joy and sunshine to lives of those who deserve that extra mile of love and care. Life should be about giving and others. When it is our own lives are far richer. 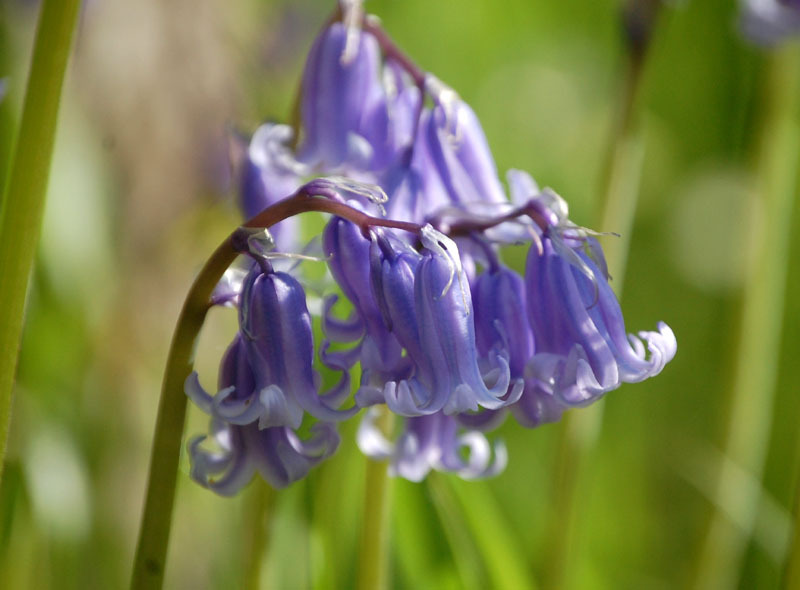 I am finding bluebells easier to capture in watercolour if you don't use blue shades to paint them! 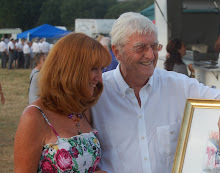 It seems like ages since I updated my blog and so much has been happening from a painting at a charity event in London this week raising funds for some very special children along with gallery news and so much more. Having recently moved to a beautiful cottage I have been busy with the task of setlling in and now I am working on the landscape design. It is so important to me to be surrounded with vibrant colour,unusual shapes and light forming shadow patterns to create interest to my eye and artists soul throughout the seasons. I am surrounded by bluebell woodlands which are so heavenly to walk through especially in early morning light. I have carefully been choosing plants in the same way I think about painting. I have a blank canvas to fill with exciting colour. I can almost see my result but I want the vision to be flexible. 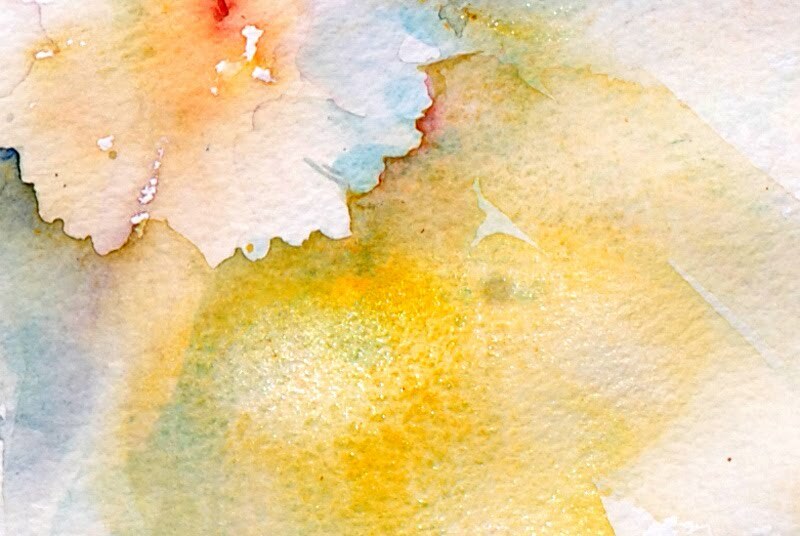 Just the same as when I use watercolour pigments. I allow their natural qualities to shine and create magic. By being restrictive I could end up with a boring painting that is missing in excitement. I don't want a boring garden so I am aiming at surprises around every corner with a variety of colour and shapes to create interesting contrasts. I have a large rockery for heathers, an old stone wall for aged interest and rose beds near the cottage frontage. A seperate larger pebble area looks like s coastal section. This has planters of herbs and looks wonderful with a huge old trough planted with alpines in the background. 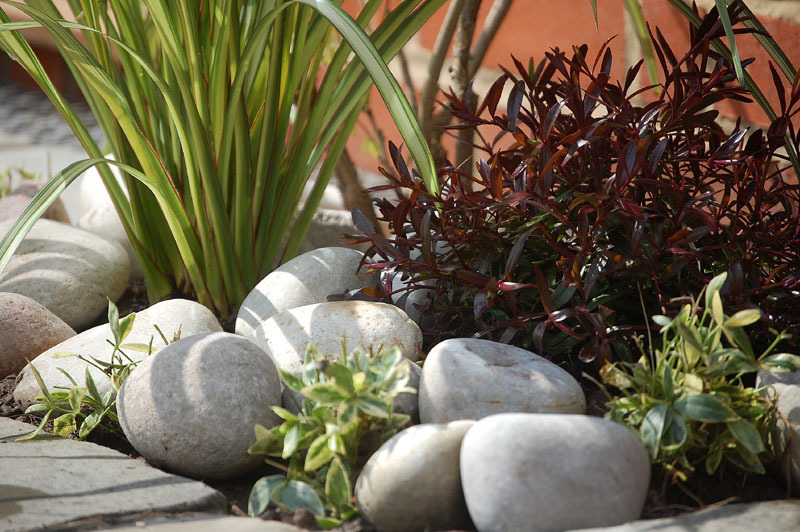 Plants of different shapes and sizes fill small gaps to soften the hard edges. How amazing I still think soft and hard edges when I am not even painting. I am still creating. I am painting with flowers and plants rather than with a brush for now and I can't wait to sit still and enjoy painting all I lovingly placed. These plants will grow and mature for years to come of guests visiting to paint and for my own pleasure. Life as always is so wonderful. An amazing week. We have now moved to a wonderful cottage set in beautiful scenery which is an artists dream. As I look through my window I see a very old bridge with a perfect reflection in the water below. Designing the landscape to enhance its beauty has been a privilege rather than a challenge and I am smiling imagining all the artists who will adore painting this idyllic scene. Choosing plants and trees to add colour and charm to an already well established garden and woodland in the grounds has been a sheer joy. 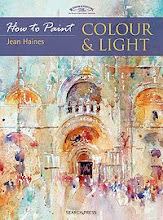 My floral art friends will be in heaven here and my landscape art friends are going to be spoilt for choice in what to paint first.There are many stunning villages nearby with buildings of interest not to mention the many thatched cottages and quaint churches. The wildlife is already very active with ducklings and swans appearing on regular visits for feeding. I am tempted to drop everything and just sit and watch them for hours on end which isn't really practical right now! I have yet to see the kingfisher but that day will soon be here I am sure. I hope to be sharing my art work on my blog again very soon but for now I have been really busy planning and designing what has to be one of the most beautiful artists retreats possible. 2011 will see some incredible art events here and I am thrilled at the interest I have recieved already. So my temporary silence will lead into some wonderful opportunities in the future.